Another rare post war metallique. 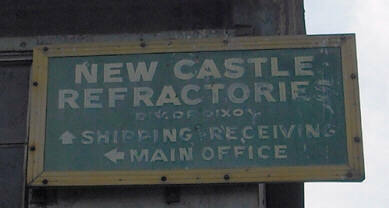 New Castle Refractories was a company specializing in the manufacture of insulating firebrick, for high-temperature furnaces and reactors. The original factory burnt down in 2011. 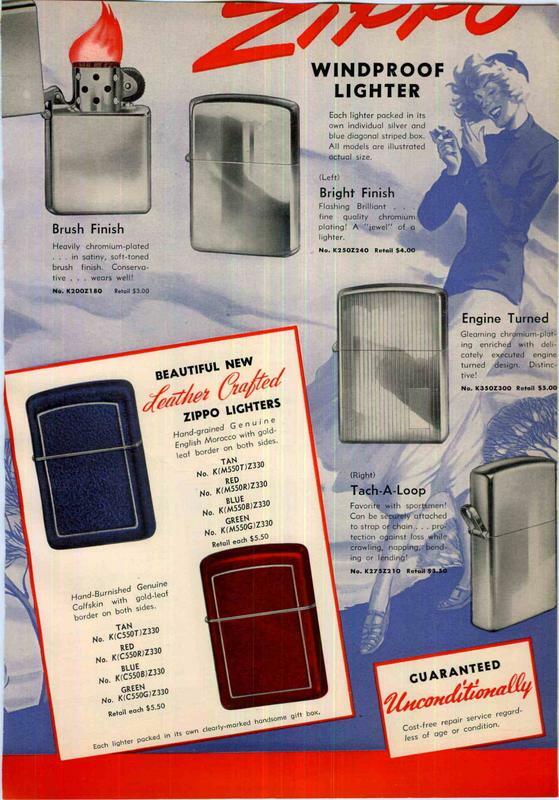 In 1946, after WWII, Zippo Mfg. began selling to the public again. making Post-War metalliques one of the most valuable & sought after ZIPPOs amongst collectors. The 1946 lighters use a straight cut flintwheel until later that same year, where the new "slash cut" flintwheel made its introduction. The 1946 model still used a 14 hole chimney until 1947, when they began using an insert with 16 holes. 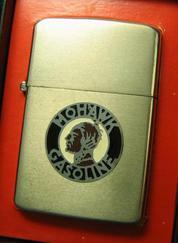 The 1946-48 lighters and inserts were made from material called nickel silver, but not chrome plated on the first models. 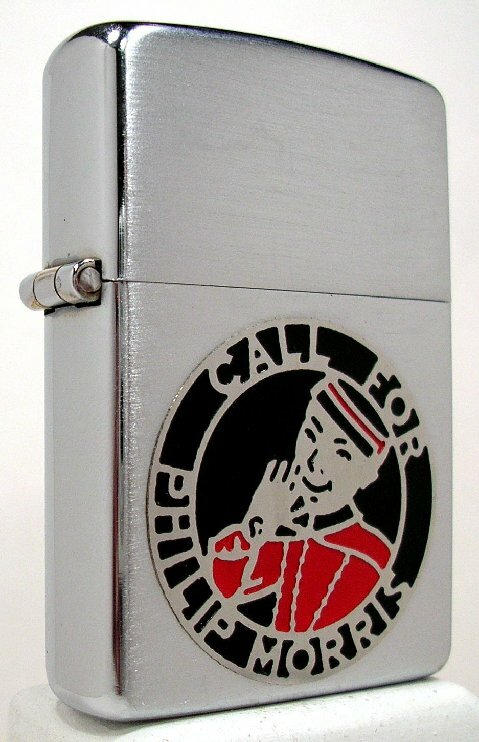 The 1946-1948 model still used a 3 barrel hinge, but ZIPPO changed it to a 5 barrel at somepoint in 1949. 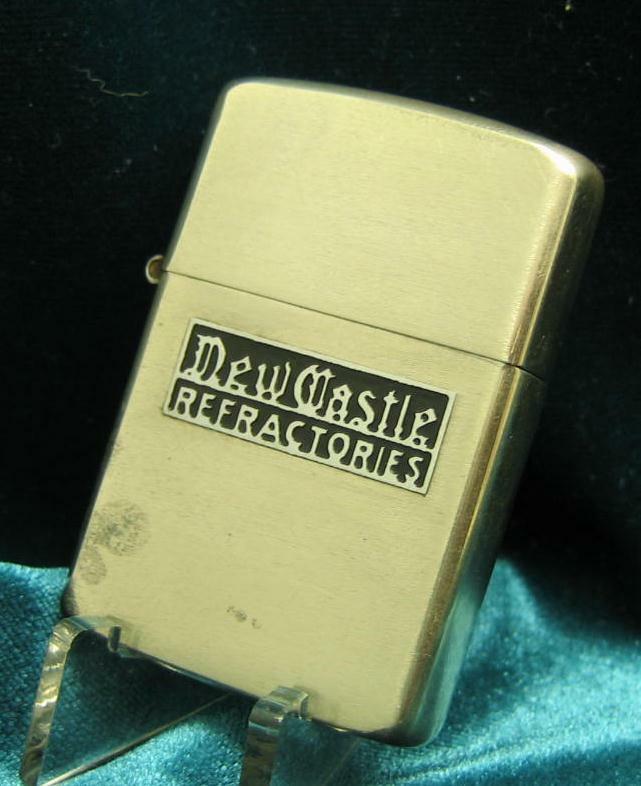 The lighters made from 1948- early 1951 used brass to manufacture the cases, and in early 1951 the cases were then made from steel. These all had the Pat. # 2032695 until early 1953. Early 1946 Post War Metallique. The early 1946 case was taller than the ones manufactured later that year by 1/32". 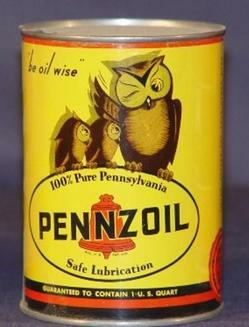 whereas the later 1946-47 case measures 1-11/32" and was chrome plated. There was a change to the hinge during this time. The earlier 1946 model had a 3 barrel hinge, where the center barrel was longer, compared to the ones manufactured later in 1946, this shorter center barrel continued to be used until early 1949. The first change was the flintwheel now has slash teeth as opposed to the straight cut teeth. The second was in mid 1947, where the number of holes in the chimney changed from 14 to 16 holes. ​The case and insert are both made from unplated Nickel silver. "Loop" lighter, and later became the "Tach-A-Loop"
This model was made with the sportsman in mind, and featured a special hinge with a small "D" shaped loop for attaching a lanyard, to prevent the loss of the lighter. It is my opinion that this model, when first introduced, did not come with a lanyard. "The addition of leather thong, loop, or chain provides a safeguard against loss"
This leads me to believe that the lanyard, and special boxes, were not introduced until 1955 or 56. The word "tach" to me would be an abreviation for "attach". 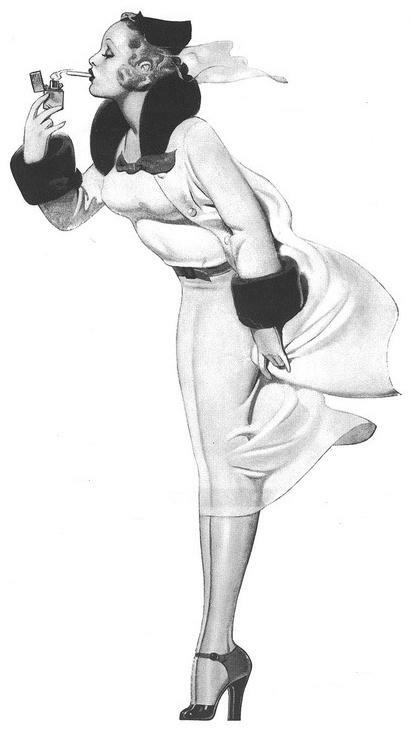 The 1955 advertisement (shown here) is of the slightly modified and longer "D" ring. This model was later named the "Lossproof "
This early hinge was redesigned around 1950, due to its ability to pinch when the lid was opened. This is a very early model, as the case is made from 2 metals. The lid is made from nickel silver, whereas the case is made from brass. Brass became the desired metal used for the case in 1948. 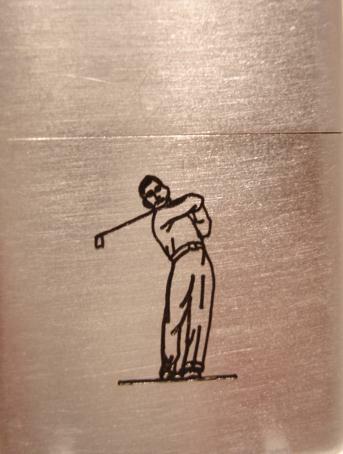 This one shows that Zippo was using up old stock Nickel silver lids, in the early years. Two more from my collection. Left is a Nickel Silver Prototype showing two Mallards in flight. On the right is a rare line drawn Fisherman. This style is much more rare than other fisherman models, in that he is smoking a pipe. 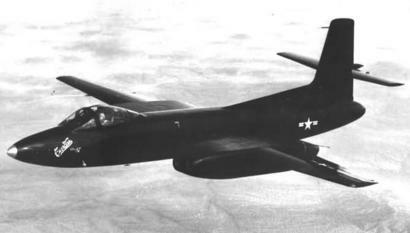 This design was not a regular production model. 1951-52 New in original box. Engraved in Occupied Japan, showing Mt.Fuji. I got this one from the trustee handling the estate of Mrs Mary McDonald. Zippo currently makes a number of lighters for the Japanese market using this same Mt. Fuji theme. They are very popular amongst collectors worldwide. Very rare to see an original in this condition. These photos shows the golfer with the more rounded head, compared to a "Squarehead"
The Squarehead golfer is by far the more rare of the two. There was also more detail in the clothing on this model. This marks the beginning of the 5 barrel hinge. The case is still made from brass. 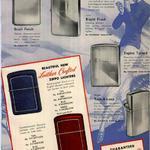 Beginning in 1951, ZIPPO began using steel for the first time since 1945 to manufacture their cases. This was due to conservation of brass needed in the Korean War effort. They continued to use steel until around 1954, at the same time the new patent # 2517191 was introduced. NOTE: It's very difficult to find well preserved examples of the lighters made from steel. It's very common to see pitting to the chrome on this model. All lighters that were made from steel had a thin coating of silver paint on the inside of the cases to minimize corrosion or rust. There is no mention of the company whatsoever. This is a used, but a very desireable lighter with this logo. If you like rare items, this is what to look for when collecting. Post War metallique's are very difficult to find. Even though the Metalliques were available after WWII, very few were produced. I personally know of less than 10. 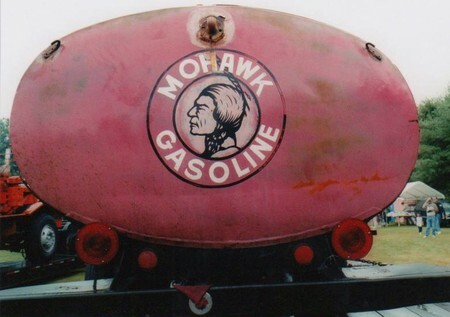 1946 Mohawk Gasoline. 3 color metallique. New, in original box with paperwork. 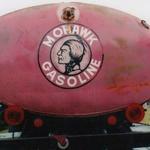 Mohawk Oil Company,(Now Husky energy) was originally founded in 1938 in Cody Wyoming, where the first refinery opened. A second refinery was opened in Riverton Wyoming, and in 1946 the Riverton refinery was moved to Lloydminster, Alberta, Canada. A personal thanks to my buddy Steve for finding this one for me. Here we have 5 examples of Post War Metalliques. If you have one, I would love to see it . Not just a paint company. No history of Glidden Company has ever been written, despite its many achievements in the soybean and soyfoods industries. Glidden was a pioneer in solvent extraction in America, and their plant was one of the first in the nation, located in Cleveland, Ohio. Like most pioneers, they learned as they went along and paid dearly for their mistakes. On 7 October 1935, their solvent plant (which had been in operation for only 10 months) was totally destroyed in a disastrous explosion from a hexane vapor leak. It leveled a city block, including the adjacent soy protein and lecithin plants and the nearby research laboratory, killing 11 people and injuring 45 more. In May 1949 Fortune magazine published "House that Joyce Built," an excellent 9-page study of the growth of The Glidden Company. Soya Products and Stock Feeds were listed as one of the companies five main divisions, along with Paint and Varnish. 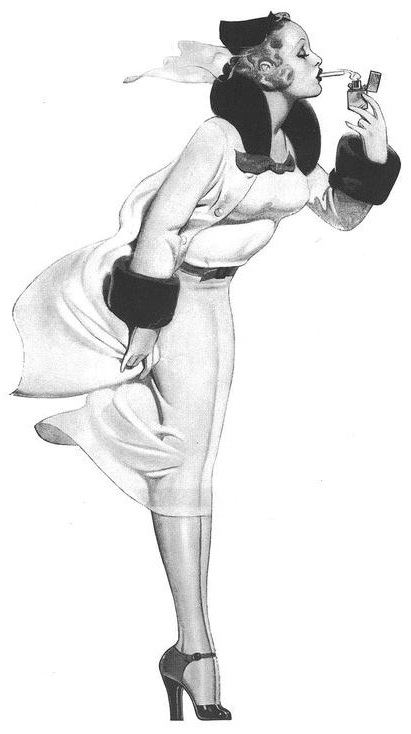 In about 1950-51 Glidden changed the name of its Soya Products Division to the Chemurgy Division. The three stars on this lighter signify that the Commander of the 6th fleet was onboard the Salem. He held the rank of a Vice Admiral (3 star Admiral) . In this case John Ballentine. Salem was the flagship of the fleet, and he commanded the 6th fleet from this ship. The Salem was captained by J. C. Daniel. Commissioned on May 14, 1949 717 feet long and 77 feet wide, she was longer than some battleships of the period. She was three feet shy of two NFL football fields in length.!! The USS SALEM also starred as the German Pocket Battleship "Admiral Graf Spee" in the 1956 English movie, "The Battle of the River Plate". The film was released in the US in 1957 under the title, "Pursuit of the Graf Spee". The film starred Peter Finch, John Gregson, Anthony Quayle, Anthony Newley, Christopher Lee, and Patrick Macnee among others. The SALEM's "139" can be plainly seen in many scenes of the movie. They also included the "139" on the bow of the scale model that was destroyed in one scene. 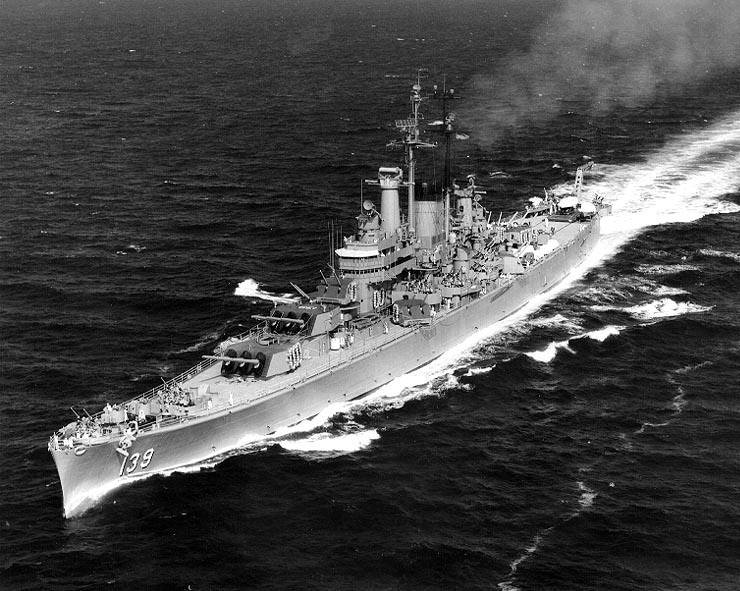 In October 1994, USS Salem was returned to her birthplace in Quincy Massachusetts, where she is now a museum ship. In 1948-49, the cases were made from brass again. They still use a 3 barrel hinge until late 1949. World War II brought change to Royal. In order to aid the war effort, Royal converted its manufacturing to war work exclusively. Royal would manufacture machine guns, rifles, bullets, propellers, and spare parts for airplane engines. It wouldn't be until September 1945 that Royal would start typewriter production full-time again and not until December 1948 that Royal would catch up on its pre-war backlog. 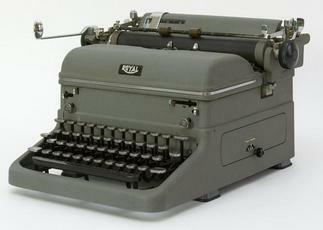 Many famous writers used a Royal typewriter. Including Ernest Hemingway, & Ian Fleming, who wrote the James Bond novels. 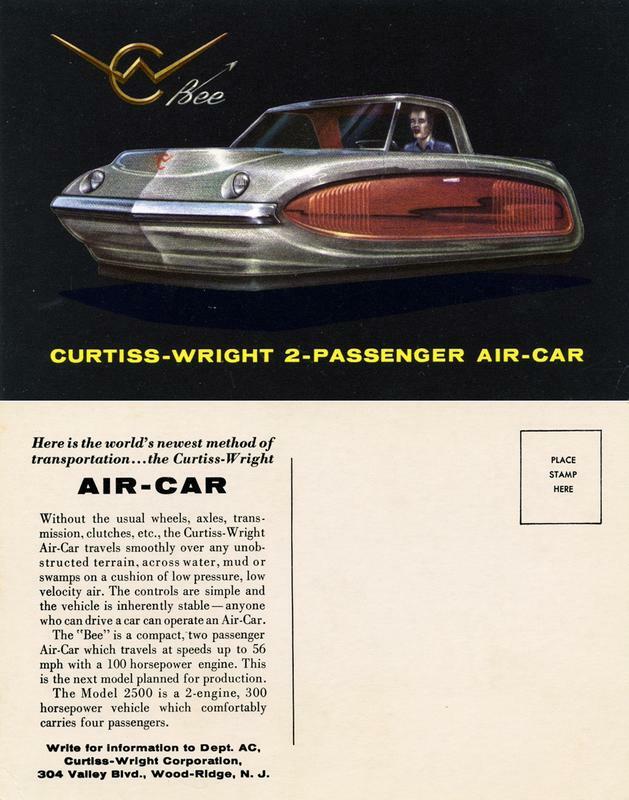 Check out this from the Curtiss Wright Company. During World War II, Curtiss-Wright produced 142,840 aircraft engines. 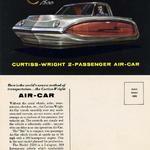 The Curtiss-Wright Corporation was the largest aircraft manufacturer in the United States at the end of World War II. Advertiser for Frederick "POST" Co.
Rare to find advertising on a Zippo immediately after WWII. It took a little time before companies were back on their feet and used Zippos as a form of advertising, or for promotional use. This lighter was ordered by the "Post" company. Frederick Post Co. was based in Chicago, & founded in 1890. They were a distributor of US brand slide rules, and other engineering supplies. Most of which were relabeled standard products from well-known manufacturers from around the world. After the war, Post returned to importing "Hemmi" slide rules from Japan. 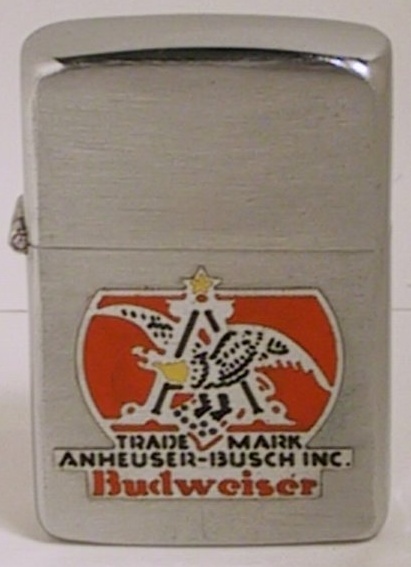 Coca-Cola had been using ZIPPO lighters to promote their products as early as 1946-47 Possibly earlier. This one is from the 1952 time period. 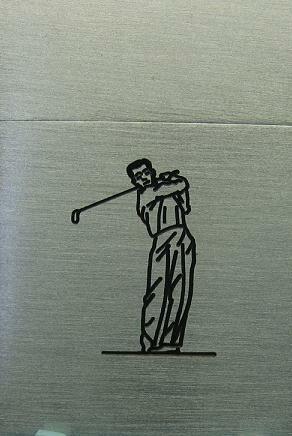 Made from steel and engraved to promoted sales of their product to retailers worldwide. 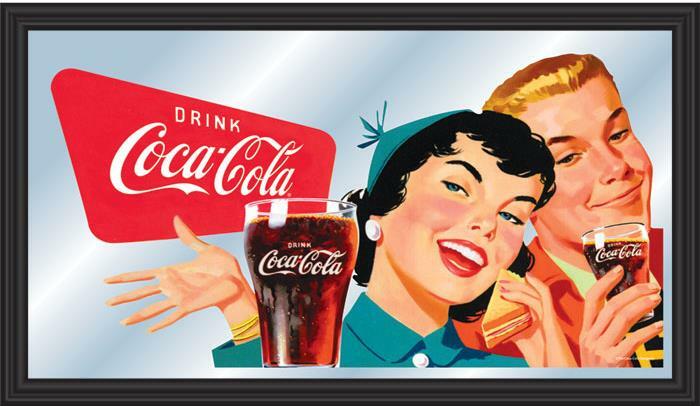 These would have been given out as gifts to the COCA-COLA retailers. This falls into the "cross-collectible" category. Highly sought after by many different collectors. Arguably, the most recognizable logo in the world. The logo has gone through numerous changes over the years but remains iconic after over 125 years ! No matter where you live, or what language you speak, you know and recognize this product.